(On Sale Now!) 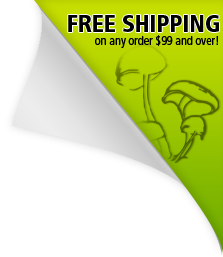 Lighting plays a very important role in the growth and life cycle of mushrooms. Mushrooms use light in many ways. Trigger the fruiting cycle, to produce the actual mushroom fruit bodyWhich general direction to growMaintain the natural day/night cycle. Our custom manufactured dual spectrum light provides the optimal lighting spectrum that helps promote pinning and mushroom growth in all cycles of growth. (ON SALE NOW!) An essential to any hobbyist or chef, this extremely accurate digital gram scale weighs in measurements from 0.1 grams - 500 grams in a variety of measuring units. (Gram, carat, grain, pennyweight, etc.) It comes tested and pre-calibrated for immediate use. We've tried and tested many models and found the most accurate and reliable model. This scale comes with a 1 year replacement warranty.